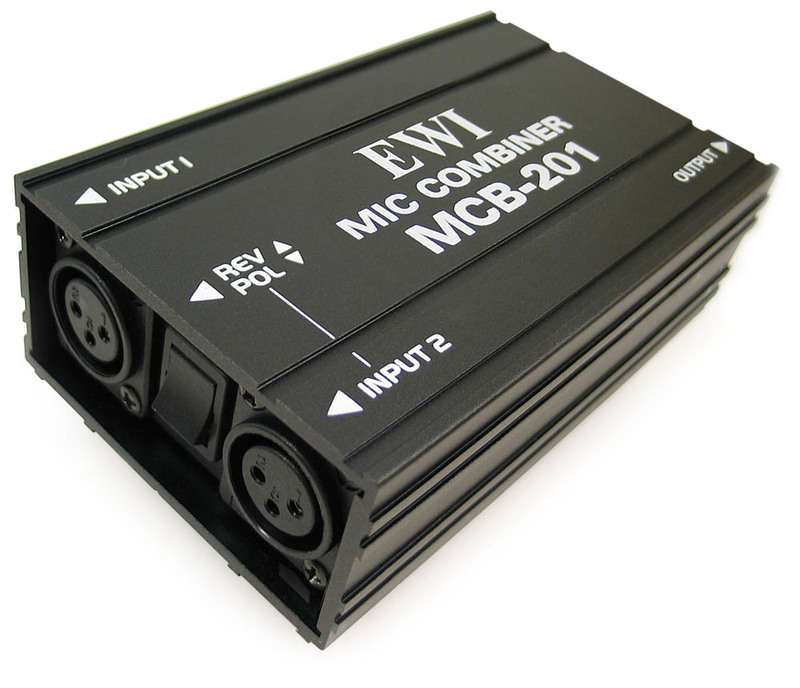 The EWI MCB-201 mic combiner passively combines the signals from two low-impedance microphones (or similar sources) into a single output. It is a handy "band aid" for situations where the number of microphones required exceeds the number of mixer channels available, but equalization and level control for every microphone is not required. In a musical or recording situation, the MCB-201 can combine mics from sources like dual bass drums, percussion "toys", stereo guitar amps, etc. Commercial sound uses include combining dual mics on a public speaker for redundancy and handling extra mics for audience participation at meetings. The MCB-201's transformer isolation minimizes interference from SCR lighting dimmers, radio transmitters and 60 Hz AC power wiring while retaining the advantages of common-mode rejection inherent in the use of balanced lines. The MCB-201 is fitted with standard 3-pin XLR connectors for inputs and outputs, so hookup requires only standard mic cables. One input is provided with a REV/POL switch to change its polarity. This is very useful for correcting acoustical or electrical phase cancellation problems such as poor mic placement and miswired cables. 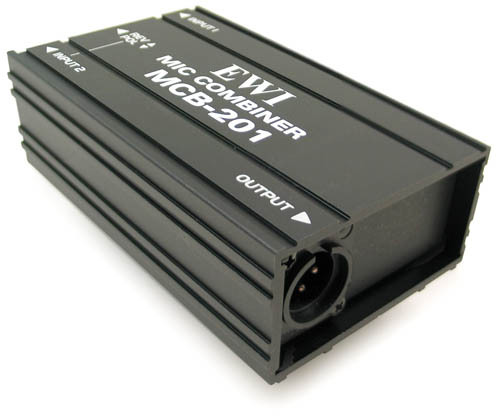 The use of the MCB-201 transformer allows it to provide a floating, low- impedance output with wide, flat frequency response and ultra low distortion. 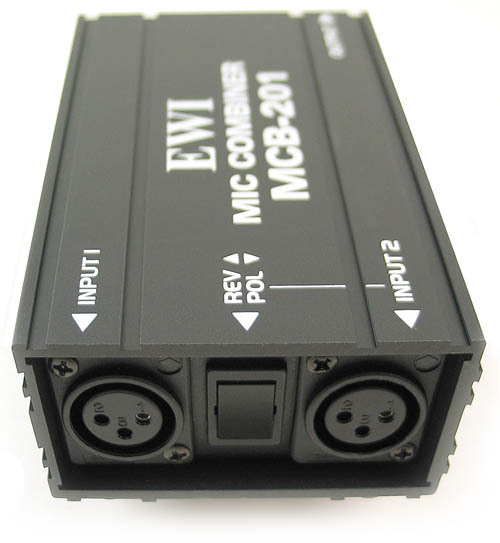 NOTE: Phantom power (if required for your microphones) must be supplied by a suitable power supply, connected directly to the microphones before the MCB-201 inputs.